Margaret “Juanita” Cherry of Pansey, AL, passed away Thursday March 21, 2019 at UAB Hospital in Birmingham, AL surrounded by her family. She was 71 years old. 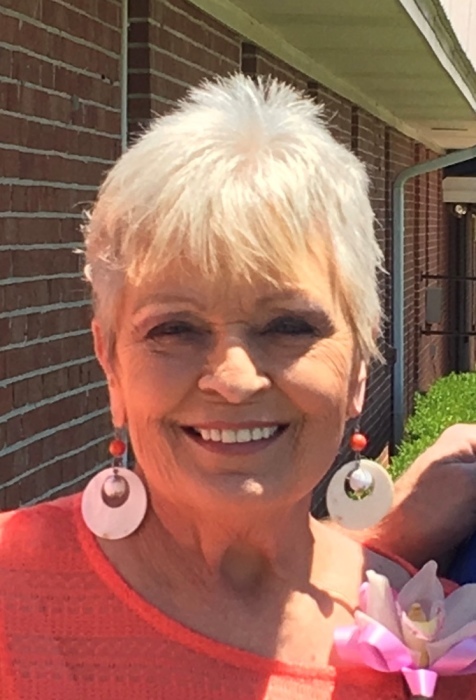 Services will be held at 3 P.M. Sunday, March 24, 2019 at the Ward Wilson Funeral Home Chapel with Reverend John Mouery officiating. Burial will follow in Pleasant Hill Baptist Church Cemetery in Gordon, AL. with Ward Wilson Funeral Home directing. The family will receive friends at the funeral home from 2 to 3 P.M. Sunday, one hour prior to the service. Juanita was born on October 2, 1947 in Montgomery, AL. Celebrating her home-going we are forever changed by knowing and loving her. There are so many things that will be remembered and missed about her; the sound of her voice when she was angry and she called you by your full name- UNFORGETTABLE! The way she battled and beat cancer not once but twice - too stubborn to let go or give up. She was preceded in death by her parents; Charles “OB” and Odell Pridgen, her sisters Mary Alice Letlow and Ilene Johnson and her brother Robert Daniel Pridgen. Survivors include her husband of 26 years, Danny Cherry of Pansey, AL , Daughters Deana Kyle of Pensacola, FL and Anitra Hitchcock(Earl) of Dothan, AL, and Son Sam Kyle aka the favorite of Pansey, AL, Step Daughters; April Walden (James) of Ashford, AL, Halee Butler (Ashley) of Headland, AL, and Ashlee Davis (Brian) of Abbeville, AL. Sister Bobbie Jean Winters (Herb) of Elba, AL, and Brother Ronald Pridgen (Brenda) of Elba, AL. Grand Children Haleigh Butz of Olive Branch, Ms, Daniel Hitchcock (Jessica) of Slocomb, AL, Hayden McCord (Patrick) of Ashford, AL, Harley Butz of Ft Stewart, GA, William Hitchcock of Ozark, AL, Baylea Kyle of Auburn, AL, Lynn Sheppard (Braxton) of Midland City, AL, Luke Kyle of Ashford, AL. and 7 Step- Grandchildren and 9 Great-Grand Children.